Avoid the long queues and let your guide take you inside the Sistine Chapel. Marvel at the amazing interior and the detailed masterpieces surrounding it. Given that you are 1.5 hours ahead of the public crowd, you will have the chance to see more of the place while hearing facts from your guide. Explore the 9-mile area housing artworks by great masters and ancient artifacts held sacred by the church. By the time your guided tour ends, you’ll have a 30-minute advantage to enter the Vatican Museums before the crowds arrive. Stroll at your own pace and discover almost 30 attractions in 1 day. The meeting point is at the bottom of the wide steps, with a handrail running down the center, across the street from the entrance of the Vatican Museums. The steps are located between Caffe Vaticano and Hotel Alimandi Vaticano, on the corner of Viale Vaticano and Via Tunisi. The tour coordinators will be wearing blue City Wonders polo shirts or jackets for easy recognition (see photo). Walk straight to the back of the station and go to the left-side exit. Leave through the side marked V.le Giulio Cesare (to your right). Walk straight along Viale Giulio Cesare (which turns into Via Candia) for 3 1/2 blocks, crossing three junctions before getting to Via Tunisi, the fourth junction. From here, walk straight for a block. In front of you will be the meeting point. Facing St. Peter's Basilica from the center of piazza (near the obelisk), turn right and exit through the columns. Follow the Vatican walls (left) all the way to the entrance of the Vatican Museums. From the entrance, cross the street at the pedestrian crossing. Straight ahead of you at the intersection of Viale Vaticano and Via Tunisi, you should see Caffe Vaticano and Hotel Alimandi Vaticano. The meeting point is between these buildings. Tell the driver to drop you off at the "Ingresso dei Musei Vaticani in Viale Vaticano" (entrance to the Vatican Museums on Viale Vaticano). You should alight at the entrance of the Vatican Museums, situated along the long, high wall that marks the border of the Vatican. From here, cross the street at the pedestrian crossing. Straight ahead of you at the intersection of streets Viale Vaticano and Via Tunisi, you should see Caffe Vaticano and Hotel Alimandi Vaticano. Between these buildings, you will see a wide set of steps, which is the meeting point. The Sistine Chapel guided tour ends in the chapel itself. 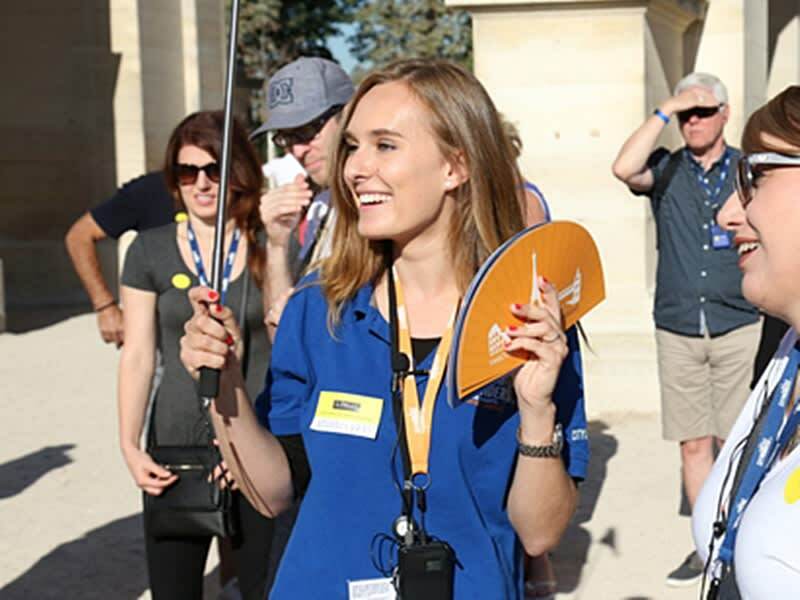 Afterwards, the guide will leave you with a map and introduction of Vatican Museums, which you can enter 30 minutes ahead of everyone else and roam freely the whole day! Entrance to the Vatican requires a strict dress code for both men and women. Entry may be denied to improperly dressed participants. The 1-hour Sistine Chapel tour has no bathroom or water break. Please plan accordingly to maximize your time inside. On Wednesday mornings and afternoons, St. Peter's Basilica may be closed to the public due to the Papal Audience at Saint Peter’s Square. Guests who wish to visit St. Peter’s Basilica are advised to travel on another day. Bags and equipment like tripods and umbrellas are not permitted in the Vatican. All baggage must be checked in at the cloakroom at least 15 minutes before the tour begins. Non-flash photography is permitted throughout the tour, except in the Sistine Chapel. Museum tickets are for one-day single entry only. They will no longer be valid once you leave the Vatican. Please note that the Sistine Chapel may be subject to unscheduled closures for religious ceremonies. Any cancellations made after 07:20 local time, 3 business days prior to the activity will be subject to a charge of 100% of the total amount.